Perhaps one of the most famous off-road and Sport Utility Vehicles are made by the Jeep marque. The forefather of the Jeep Wrangler is the World War II military “”Jeep”” – Willys. The Jeep Wrangler is a compact four-wheel drive off-road SUV. The car comes with front engine layout and has been in production ever since 1986. It will be hard to find an SUV with more sharp lines. In 2008 the range-extended electric four-door Jeep Wrangler was introduced to the public, but a year later the Chrysler’s electric car division was disbanded by Fiat SpA and the production of the model was left for future. There is not a better car to take to the rough open roads and trails than the Jeep Wrangler. This unique model will make your ordinary trip an adventure and you will find no obstacles on your way to your destination because you will discover the adventure to be fueled by the power within. The 2018 Jeep Wrangler Rubicon can come with a number of high class options. The seats of the car can come embroidered with cloth or leather, depending on what you prefer. The 1 -inch wheel with Polished face and Painted mineral gray inner will give even more sporty and tough look. The new tire pressure monitoring and electronic vehicle information center are incorporated to make sure you are safe on the roads. The main competitors of the 2018 Jeep Wrangler are the FJ Cruiser and Toyota Tacoma. The car comes in the following trims: Sport, Sahara, Freedom Edition, Rubicon, Moab and Rubicon 10th Anniversary Edition. The Jeep brand has won its third consecutive “”Four Wheeler of the Year”” award for the year of 2018 from Four Wheeler Magazine. The MSRP value of the 2015 Jeep Wrangler starts at $23,390. You can lease the 2018 Jeep Wrangler from Studio Motors in Los Angeles. 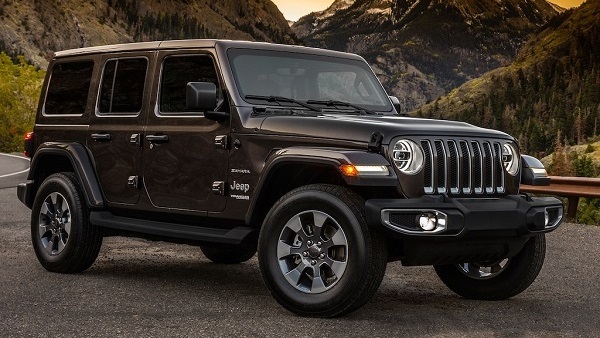 For the best Jeep Wrangler lease deals in Southern California including San Luis Obispo, Kern County, San Bernardino, Santa Barbara, Riverside, Ventura County, and San Diego, contact Studio Motors. New Jeep Wrangler Rebates and Incentives are introduced at the beginning of every month. For an immediate Jeep Wrangler lease quote, you can call 877-788-3460 or get a quick quote online by visiting our Quick Quote Page.